Tarragona, where Roman grandeur meets golden sand. The secret of Tarragona's sun-soaked Mediterranean shores was out long before the first travel books filled the shelves of local bookstores. Spanish poet Martial longed for the shores of Tarragona, then known as Tarraco. "And when rimy December and winter wild shall howl with the hoarse North Wind, you will go back to the sunny shores of Tarraco," he wrote to a friend nearly two thousand years ago. Two millennia of time has seen Tarragona sprout buildings, roads and transportation, but the old section of the city still remains the rustic, seaside community that captivated Spain's first poets. A magnificent Roman amphitheater unfolds toward the sea. Roman aqueducts dance along the landscape. Balmy Mediterranean waters lazily roll up on toe-tickling, golden sand. The city's surrounding areas were home to Antoni Gaudì and Joan Mirò, two of Catalonia's most famous artists. Rich history and breathtaking natural beauty are just a few reasons why Tarragona is a must-see destination (and, not to mention, a UNESCO World Heritage Site). Tarragona is a timeless, elegant handshake between past and present. The city offers visitors a tangible experience with Roman ruins unmatched in the Iberian Peninsula. Ramparts, walls, villas and other public structures built by master craftsman from Rome highlight Tarragona's Old District. 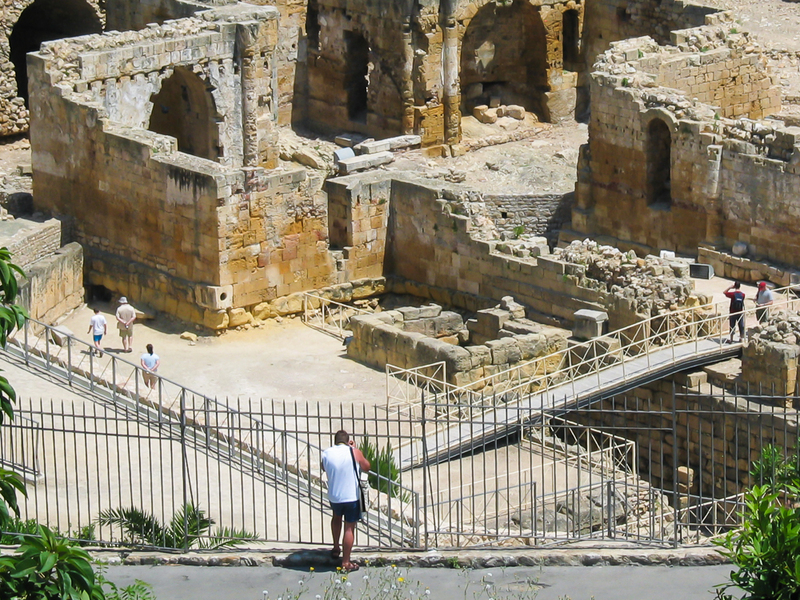 The Amphitheater, Tarragona's jewel, was built at the end of the first-century. Just outside the city, a section of aqueduct known as "The Devil's Bridge" stretches more than 500 feet across a ravine. A fantastic seafood culture pervades the city's many restaurants, where you can taste romesco, the city's trademark sauce made from nuts, oil and red pepper. Also, Tarragona's Port Aventura amusement park is one of the most popular theme parks in Europe. Iberians settled in Tarragona around 500 BC. Romans swept in and took over the city in the third-century BC. UNESCO points out that Tarragona became the seat of power for Roman interests in the peninsula in the years after the settlement's capture, playing an important role in defeating Hannibal's Carthaginian fleets. Barbarians ravaged the city in the 250's. Near the end of the fifth century, Visigoth forces wept in to capture Tarragona. The city then fell to the Moors in the early 700's. For many years, the city was the Spainsh version of the Wild West, enduring violence and bloodshed. In the thirteenth century, however, Alfons the Warrior pushed out the Moors and Tarragona became part of Catalonia. -Horse-drawn chariot races took place in the "Circus," an ancient version of a sports arena. -Stones from the amphitheater were used to build the cathedral. -Port Aventura, the city's famous theme park, is home to Shambala, the tallest and fastest roller coaster in Europe. The ride features a 256-foot drop, and reaches speeds of up to 83 miles per hour. -At the turn of the century, Tarragona became the short-term home of the Carthusian monks' Chartreuse liquor distilleries. 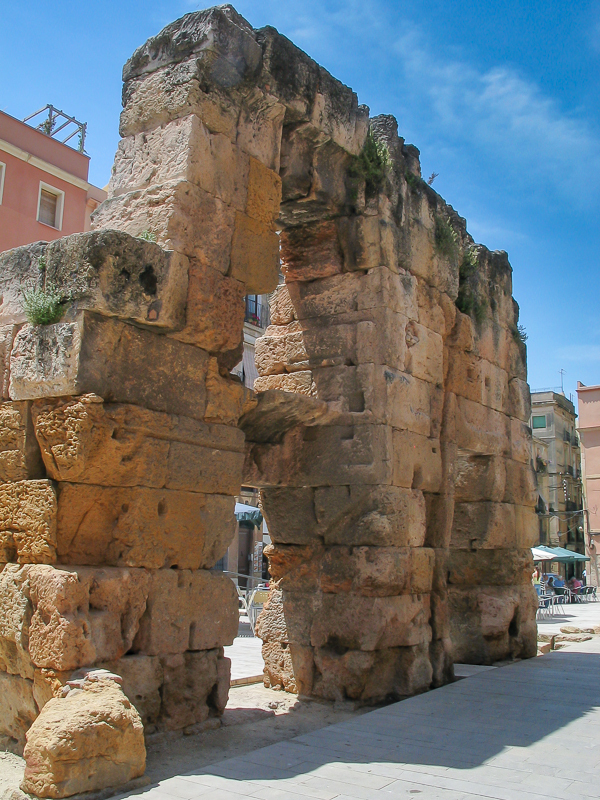 -In its days as Tarraco, Tarragona was the Roman capital of the entire Iberian Peninsula. -Spanish architect Antonio Gaudí and painter Joan Miro hailed from the Tarragona region. Itself. With so much to see an hour and a half away from Barcelona, we believe Tarragona is best experienced as a full-day tour. That doesn't mean, of course, that we can't sneak in a side trip to one of the many rustic villages dotting the seashore along the way. 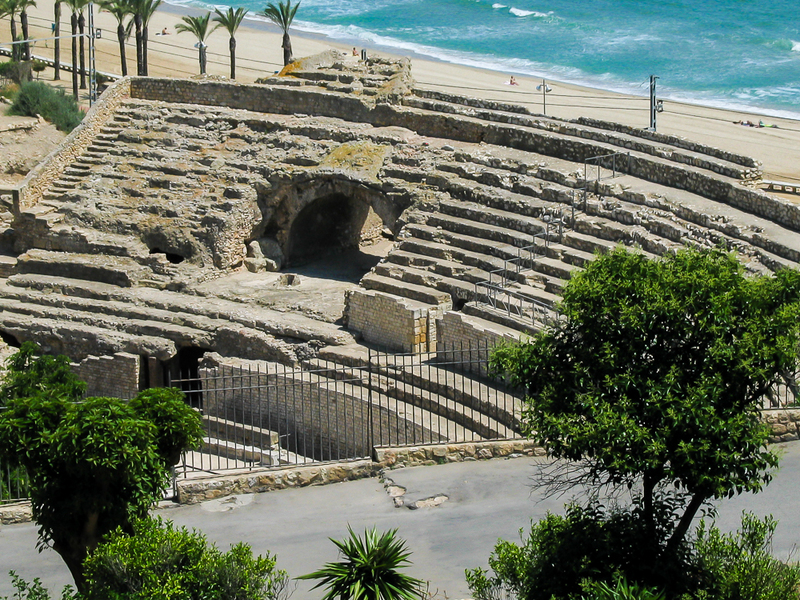 Tarragona's pristine Roman ruins, delicious culinary fare and magnificent ocean views are perfect for a full-day private shore excursion. Read below for photos, a typical Tarragona shore excursion as well as pricing and booking information. A scaled model of what the Roman city of Tarraco was like. Can you find the coliseum? This is a general itinerary intended to provide you with a rough timeline. We will mix, match and customize your private tour to meet your needs and expectations. We build our itineraries around realistic time frames; no rushing you from place to place as you try to catch a glance of history. Our schedules give you the freedom to stay a little longer at an eye-catching site, or leave a little early. It's all up to you! 08:00 Your friendly, English-speaking guide will meet you at your hotel, apartment or cruise ship to start your adventure. 09:45 Just before reaching Tarragona, we will make two quick stops. Our first stop is to a former Roman rock quarry, and then on to one of the best preserved and longest Roman aqueducts in Spain. 10:45 Welcome to the Roman city of Tarragona. Walk upon ancient ruins, breath the clear Mediterranean air and soak up the town's mix of Roman, medieval and modern flavors. 14:00 Lunch time! Sit back and relax for a local lunch. 16:00 Relax in the comfort of your private vehicle as we make our way back to Barcelona. 18:00-18:30 An end to a great day, welcome back to Barcelona. 7 or More Contact us for a proposal based on your group size. 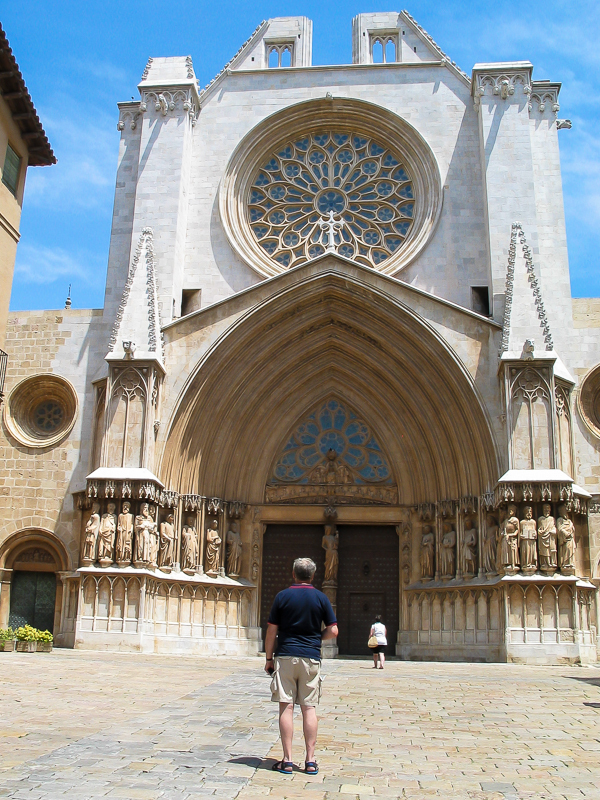 Book Now Click here to begin the booking process for your private Tarragona day tour. Unsatisfied with this itinerary? Questions about our tours? Contact us to start a dialogue about what you need and when you need it. All transportation: Private vehicle or modern coach for your comfort, security and group size. Punctuality: We pick you up on time, and we drop you off on time. Our clients never miss their boat. Full support during your tour, attention to detail and a high level of personal service. Travel consulting and area recommendations before and during your stay. Flexible itinerary that allows for on-the-fly adjustments. Mix-and-match options that allow you to create your own itinerary. Friendly, local, English-speaking guides who make communication clear and easy. Exclusivity and privacy, which allow you to maximize your time without the hassle of a large group. A go-at-your-own pace philosophy in which you choose the speed of your tour. Advance ticket purchasing options, in which we take care of your tickets before you arrive to avoid long lines and delays the day of your excursion. Lunch: To allow you the flexibility of choice and preference, the cost of your meals are not included in the cost of the tour. You decide where, when and what you want to eat. Your guide and host will have suggestions for you. Lunches typically cost between 10 and 25 euros per person. Your guide's meal will be included in your lunch bill. Entrance fees: Entrance fees to museums and other attractions are not included in the price of the tour unless otherwise noted. You can choose which attractions you want to enter. We'll work with you to acquire the tickets for the sites that suit you. "Cattle syndrome": Many shore excursions turn into cattle-herding lessons; huge groups frantically craning their necks to find their tour guide in hopes of hearing a fact or two. You receive personalized, attentive service from Barcelona Experience; in other words, no bull. 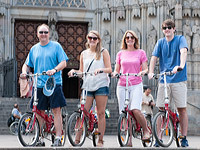 Hassle and worry: Our tours are private, fun and professional. We take the hassle and worry out of your tour so you get the best experience possible during your visit to Barcelona and beyond. Full payment is due at the time of booking. Payments are made through our secure online booking system, with PayPal, by phone or in person. For clients who create a customized itinerary, payment is due once the itinerary and price are finalized. All major credit cards are accepted. A 2.9% transaction fee will be applied to credit card transactions. Prices do include Spain´s 21% sales tax, unless specified otherwise. Credit card companies and PayPal never miss an opportunity to charge businesses for received payments. Lame, right? To offset some of this cost, we charge a small percentage for these types of transactions. Please don't hate us! Cancellations made 30 days or more from the date of your tour will receive a full refund. Cancellations made between 29 and 21 days from the date of your tour will receive a 50% refund. Cancellations made between 20 and 14 days from the date of your tour will receive a 25% refund. Cancellations made within 13 days days or less from the date of your tour will not receive a refund. Barcelona Experience is not responsible for cancellations that are out of our control. If you miss your connecting flight to Barcelona and consequently miss your scheduled tour, we follow the guidelines stated above. Walk with some of our past clients on their Barcelona Experience. "You captured some great shots for us! I absolutely LOVE the one of me and grace...thanks so much! I really love all the photos. You managed to work miracles with some less than enthusiastic teens."